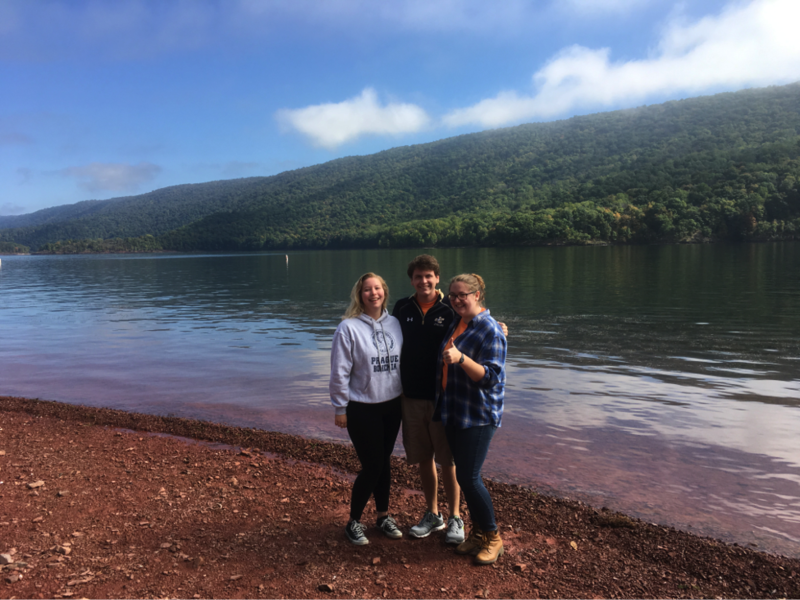 By Cody Januszko in Student Life on November 29, 2016 . My mother never thought I’d be happier than I was when I was in Ireland; I had a smile on my face every time we Facetimed. She told me over Thanksgiving break that she was surprised how quickly I adjusted back to my Juniata College life after a year in Cork. So, I thought about it, trying to discern what it was that was so appealing to me about Juniata this year in particular. I readjusted so quickly because I really missed my classmates and now that I’m back I want to spend as much time as possible with them. Here I am on Mountain Day with two of my best friends since freshman year. I went to school with the same people for fourteen years before I came to Juniata, so I never really had to make new friends. I think that’s the case for a lot of students. The advantage to the small campus at Juniata is that it is really conducive to making friends since everyone is in close proximity and you see most people on a daily basis. My friend Elise and I connected through overlapping Inbound activities, and Maris and I met through a mutual friend. We’ve remained friends since the early days of the first semester. I spend a good portion of my week with my fellow Writing Center tutors, and they’ve become some of my best pals. 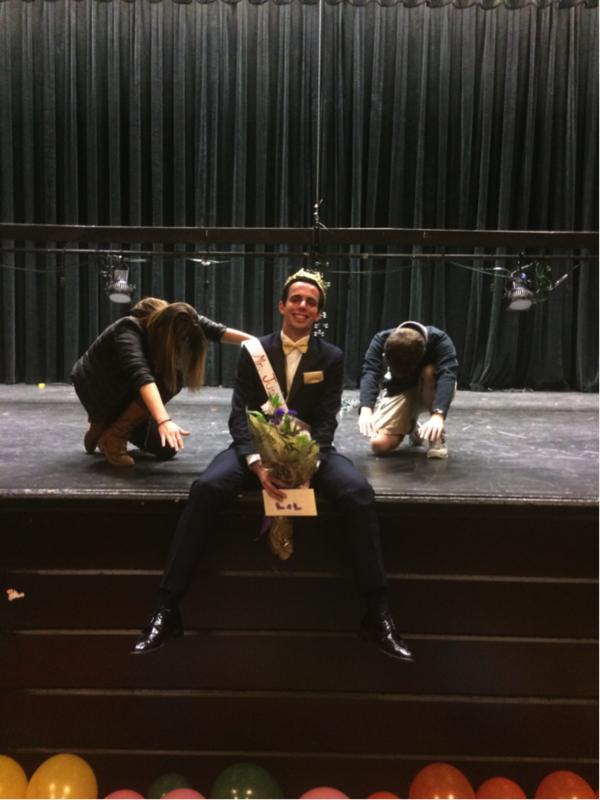 Here, you can see Katie and me bowing to the newly crowned Mr. Juniata. I always tell people that one of my favorite aspects of Juniata is the students; we are both intensely passionate about their areas of interest and willing to drop all that we’re doing to participate in an event or a tradition to have a good time. We do our schoolwork and take it seriously; we pursue internships and opportunities ravenously. However, we also want to have fun and embrace the quirks of Juniata and its students. Maybe there’s another school where students sleep outside in tents for a week just to sing one line in one Christmas song, but Juniata’s ambitious dichotomy in both fun and work is unique. When I visited Juniata, I ate lunch with a friend who attended my high school and then went to Juniata. She asked if we could end lunch a bit early and partake in a sign language scavenger hunt. I obliged, and the resulting half hour is one that I talk about often. The rules of the scavenger hunt were simple: get people who were not in the class to do the actions that you wanted them to by only using sign language (think “sign language charades”). When students on the quad dropped their backpacks and sprinted around and football players did cartwheels in the Ellis Ballroom, I knew that Juniata was a place where I could learn and get the school portion of the college experience, but also that it was a place where I could have a good time and make some fond memories. That memory-making potential is what really drew me back in after my year away, and it’s what has me excited for all that is to come with the remainder of my senior year.